I am currently a single parent with a daughter receiving financial aid. However, I plan to marry and am curious how that affects my child’s financial aid. Will his income be considered when completing the FAFSA next year even if we don’t share financial responsibility for her or commingle our bank accounts? — Terri S. If a dependent student's custodial parent remarries before submitting the FAFSA, the stepparent's income and assets must be reported on the FAFSA per section 475(f) of the Higher Education Act of 1965. All of the stepparent's income from the prior tax year must be reported even if the stepparent and parent got married mid-year or after the end of the tax year. Prenuptial agreements do not exempt the stepparent from this requirement; the stepparent's income and assets must be reported on the FAFSA even if the stepparent refuses to contribute to the student's college education. I am a college student currently living with my mother and stepfather. My parents are divorced and my father lives in a different state. I just recently found out that my father has been claiming me as a dependent on his taxes. Does this have any effect on my financial aid? I have always listed my mother and stepfather on the FAFSA since I live with them and receive help from them and not my father. — Erica K. When a student's parents are divorced, the FAFSA must be completed by the parent with whom the student lived the most during the 12-month period ending on the application date. This is regardless of which parent claimed the student as an exemption on their federal income tax return. If the student lived equally with both parents, the parent who provided more support to the student during the 12-month period must complete the FAFSA. It is rare for a student to live equally with both parents, but it can happen. For example, the student might have lived with neither parent, the 12-month period may have included an even number of days because of a leap year, or the divorce may have occurred during the 12-month period with an even number of days since the divorce. Also, the definition of support is not the same as the definition used by the IRS. So while multiple support agreements and divorce decrees may specify which parent can claim the student on their federal income tax return, the FAFSA is based on whichever parent actually provided more support. (Support includes in-kind support, such as food, lodging, clothing and medical care.) However, if the student's FAFSA is selected for verification and the student is not claimed as an exemption on the parent's federal income return, the college financial aid administrator might ask for an explanation or ask for a copy of the divorce decree. If the student lived equally with both parents and received equal support from both parents during the 12-month period, the parent who provided more support during the most recent calendar year for which support was provided is responsible for completing the FAFSA. The Higher Education Act of 1965 does not specify what happens if none of these criteria apply. In such a circumstance the decision is subject to the professional judgment of the college financial aid administrator. Most college financial aid administrators will require the parent with the greater income and assets to complete the FAFSA. I am separated, not divorced. I will be laid off from my job in October. My friends are advising me to get divorced, as that can help my kids get scholarships based on need (I have a high school senior and junior). I'm wondering if that's true; if the kids live with me and I am divorced, especially without an income, would we qualify for need-based aid? Is that a smart move when my kids are bright and could possibly get merit scholarships? — Sherry H. The rules are the same for separated parents as for divorced parents, so there is no need to get divorced in order to qualify for more need-based aid. Since your children live with you and you are separated, only your income and assets will be reported on the FAFSA. You will also have to report any alimony or child support you are receiving from your ex-spouse. The separation does not need to be a legal separation. 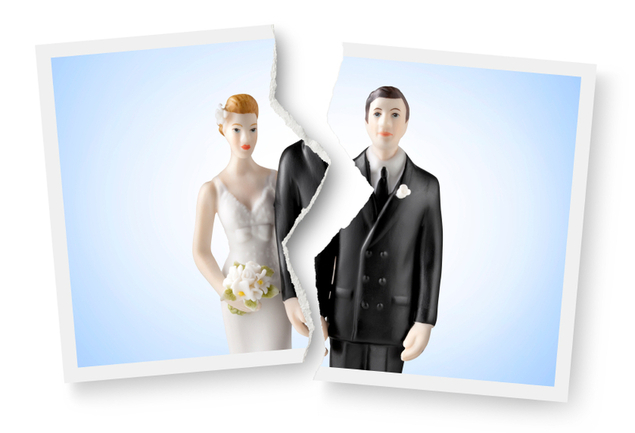 An informal separation is treated the same as a legal separation or divorce. However, parents with an informal separation cannot cohabit (not even on different floors of the same house), so the college financial aid administrator will want to see proof that the parents maintain separate residences, such as copies of utility bills, leases or mortgage payments for separate residences. College financial aid administrators will suspect a sham separation if one parent claims to have slept on a friend's couch or stayed in hotels. Many parents overestimate the ability of their children to win scholarships. If your children do win some scholarships, the amount of need-based aid will be reduced. However, many colleges have favorable policies that allow all or part of the scholarship to replace loans in the need-based financial aid package.